With a dedication to quality and customer service, HotSpring has become the world’s leading hot tub companies for luxurious spas, endless pools, accessories and more. As well as winning numerous design awards, we also manufacture and engineer energy efficient spas to keep your costs down. A hot tub is an investment in your health, wellbeing and happiness. Make the most of long summer evenings and cold winter nights with warm jets and blissful water that soothe your muscles and calm your soul. No matter who you choose to enjoy it with, there’s no better way to savour the present and wash your troubles away. 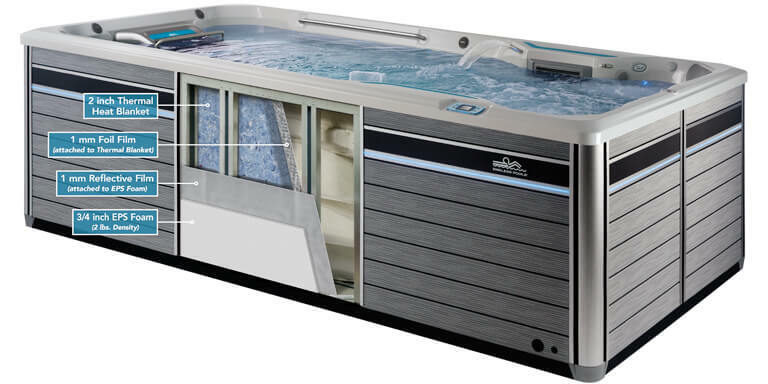 Take a look at our new, pre-owned and ex-demo spas. A swimming pool is an unachievable dream for many homeowners until they discover our range of swim spas. 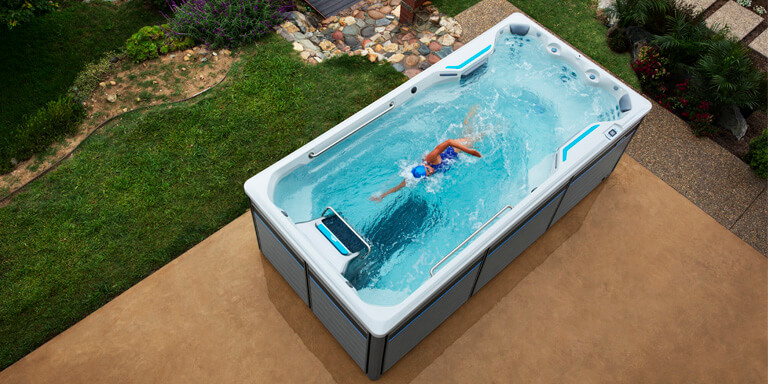 Our endless pools can be installed virtually anywhere, indoors and out, and produce a smooth and adjustable current to swim against so you never reach the end of the pool. Set the perfect temperature for lap swimming, hydrotherapy, aqua aerobics or family fun and enjoy your swim spa all year round. Take a look at our innovative swim spa range. Your One Stop Shop for all your hot tub chemical and accessory needs. 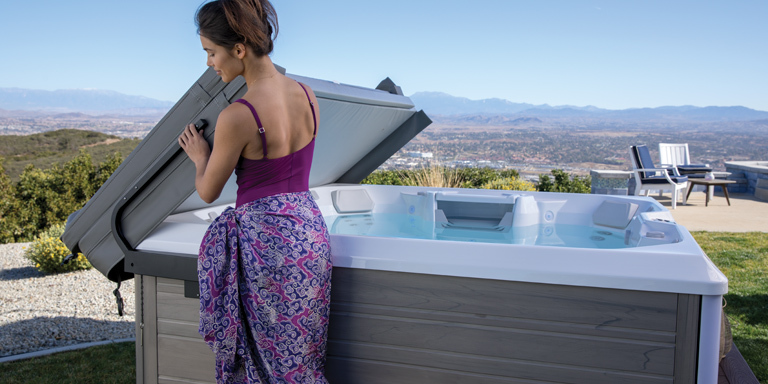 As the UK’s go-to hot tub shop, we stock a wide range of quality accessories to take care of your every spa need. That includes everything from our G-Jet hand-held rotary jet to give you full control of your massage, to spa covers, steps, handrails, spa bar coolers and more. 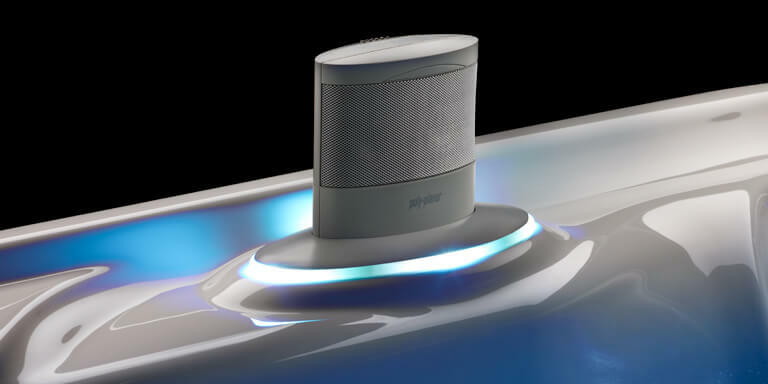 The sheer variety of our jets is just one of the many small details that set us apart from other hot tub companies. Our revolutionary spa jets are designed to deliver the very best massage experience. You can customise the jets in your spa to target specific muscle groups and deliver different massage types, whether it’s relieving tension in your shoulders or soothing those aching feet. Which of our spa jets will you choose? 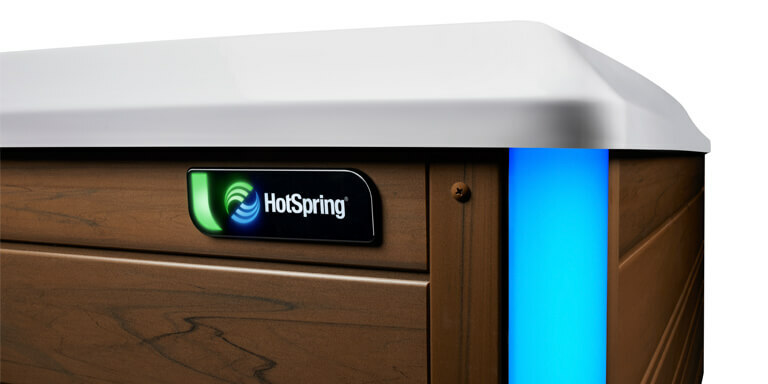 HotSpring spas are the most energy-efficient on the market. Each spa is built with the Energy Smart® system to reduce your operating costs and provide the best value over time. That allows you to enjoy the soothing jets or an endless swim without having to worry about the bills. Find out what makes our spas so energy efficient. Match the colour of your spa to your mood. Bring your spa to life with our multi-coloured LED lighting systems and create an unforgettable ambience that’s unique to you. Control the colour and brightness and customise the lighting at water level, bar top or underwater. Create the perfect mood with your own soundtrack. You can enhance your soak with entertainment systems that play your favourite soundtrack or let you watch live sport from the best seat in the house. The wireless music system comes fitted with extended Bluetooth technology and the convenient HDTV comes waterproof and temperature resistant, perfect for use in your spa. A spa is an investment in your lifestyle and overall well-being. Soothe aches and pains, reduce stress and relieve muscle injuries and minor strains with a hydromassage delivered by your very own spa. Hot bubbling water has been used through the ages to deliver benefits for body and mind. Read more about the health benefits a soak in one of our spas can provide. Visit one of our ten UK showrooms to try out the World’s No.1 Spa. Not many hot tub companies let you try before you buy, but at HotSpring World, you can book a test soak in one of our many display spas. 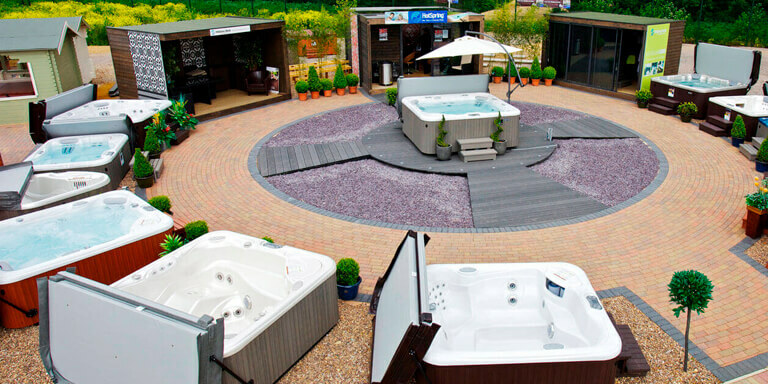 We have 10 showrooms around the country where you can test drive our fantastic collection of spas and endless pools. 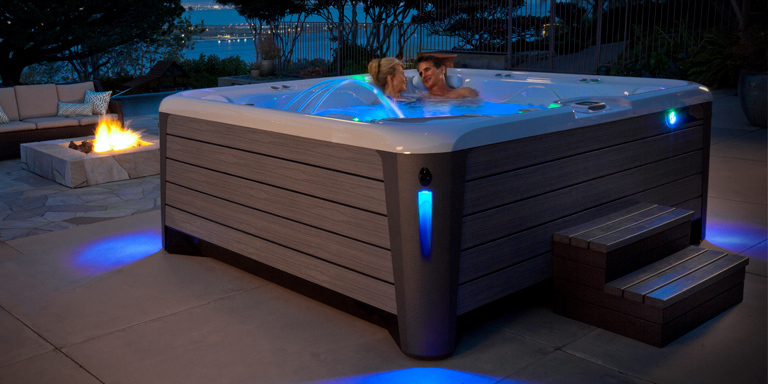 Just contact your local hot tub showroom and we’ll do the rest! Owning your dream Spa or Endless Pool has never been easier. We have a number of unbeatable finance products available to help turn your dream of owning a spa into reality. Get in touch with your local hot tub shop or call our spa team directly on 0800 849 8111 to discuss your options. If requiring a quote please let us know which product you're interested in.